The Condado Plaza Hilton is perhaps the most popular Puerto-Rican four-star hotel in the city providing such a high-class service. The number of rooms is more than 500. 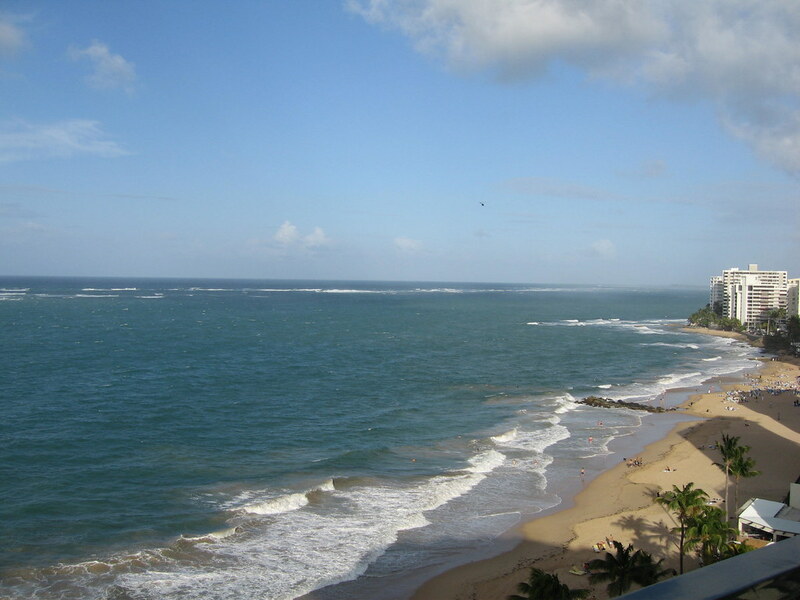 It’s not hard to find it – the hotel as if towers over the local Condado lagoon and the Atlantic Ocean. By using Payless car rental in San Juan you can easily reach all the local sights situated near the hotel. Wonderful beaches are worth special attention, because each of them welcomes you with a plenty of interesting water activities. Within 200 meters from the hotel building there’s a large Walgreens supermarket, where you can just have a leisurely walk. 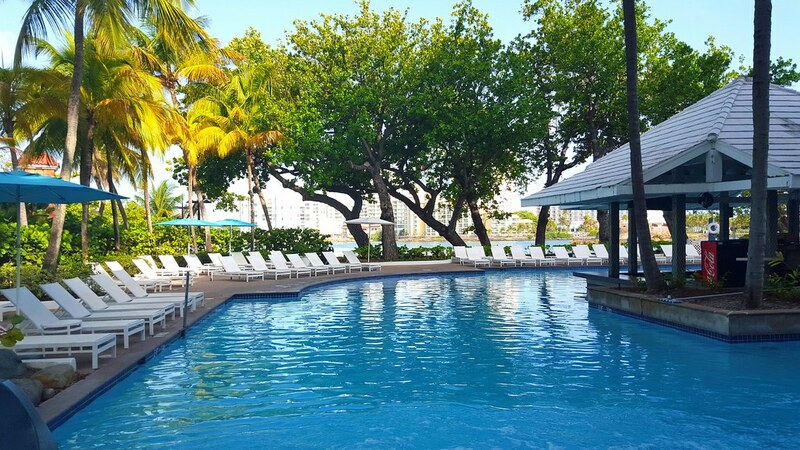 The Condado Plaza Hilton has everything for different categories of guests. Three swimming pools with a children’s section, a fitness center operating around the clock, and a small gift shop are at the visitors’ disposal. Hammocks are provided at the hotel’s beach. Each room features a private balcony and free Wi-Fi access, while first-class amenities, including several restaurants are offered on site. If you want to have a small tour around the island, the staff at the tourist office on the first floor of the hotel will help you to organize independent excursions or reserve guided trips. Also, there’s a large tennis court, and bicycles are available for those who wish to ride along the Caribbean coast. If you travel with children, you can leave them under the supervision of animators in the game room, and have a good time, for example, in a local casino. If upon arrival on the island you rented a car for self-exploration of the sights of Puerto Rico, then you can leave a vehicle on a private parking, which is available for an additional fee. The cost of rooms in this really chic hotel, respectively, is quite moderate. For a day in a double room with two double beds of 27 square meters you will pay from $200. Children under 18 years old can stay with their parents in the rooms for free. For babies under two years old, a free cot is provided. Keep in mind that check-in to this hotel is late – only from 4 pm. If you arrive at the hotel too early, you will be asked to leave your belongings in the storage room on the first floor and wait for the check-in time. All of them are decorated in an interesting Spanish style, but regardless of category, they feature the same area of 23 square meters. Perhaps the only difference is the view opening from the windows of your room. TV, air conditioning and a bathroom with shower accessories are a standard set for any room. Therefore, it makes sense not to overpay for the class of the room. The accommodation price includes breakfast served in the form of a modest continental style. 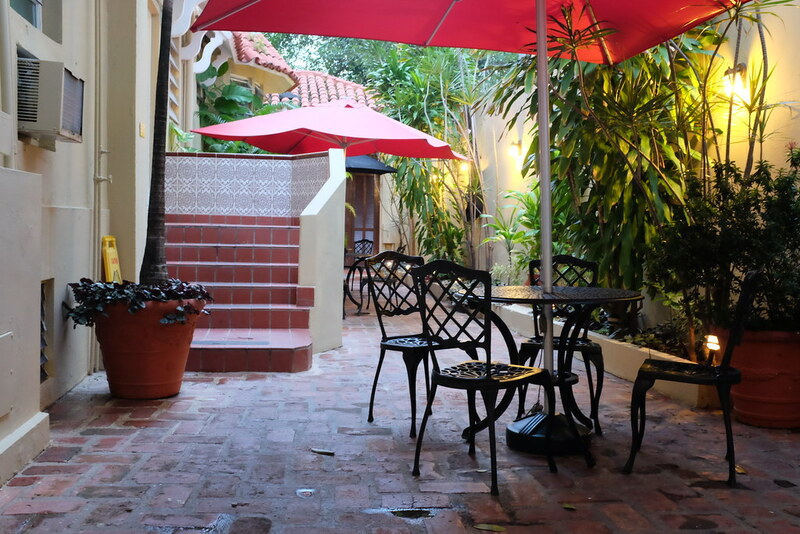 You can relax after a busy day of sightseeing in the hotel’s furnished courtyard, offering a pleasant view of the tropical garden surrounding the hotel. The cost of the room in this hotel starts from $85 per day. Parents don’t need to pay for children under 17 years old. Check-in time at the hotel is 2 pm. Check out – up to 11 am. 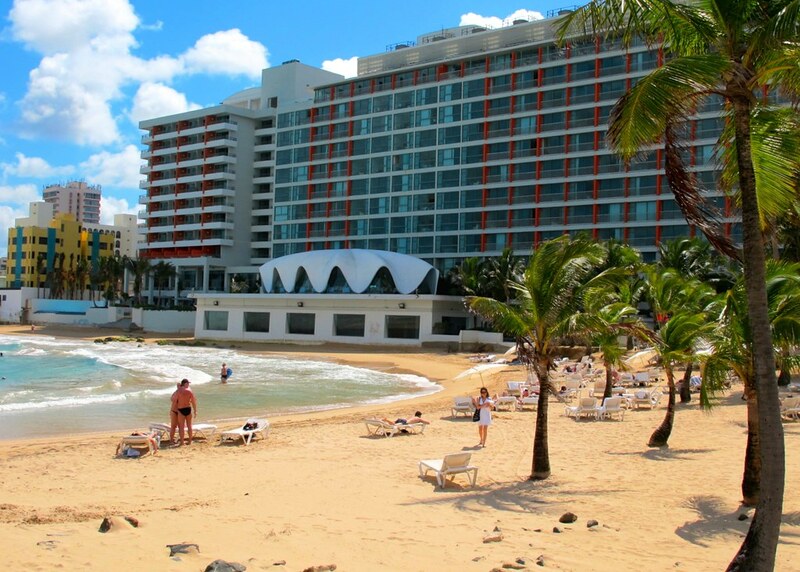 This small two-star hotel is located very close to Condado Beach, which is not far from the historic part of San Juan. The hotel offers a 24-hour reception and pleasantly decorated minimalist-style rooms with air conditioning, a TV-set. Wi-Fi is available free of charge. Each room has a separate bathroom, and some of them overlook the sea. The cost of such rooms is higher. If necessary, you can also order an individual transfer to the airport, which is located just 10 minutes’ drive from the hotel. If you rented a car in Puerto Rico, and you need a parking space, then you will have to pay for it $8/day. The cost of accommodation in a standard double room of this hotel starts at $100 per day. Such a high price is explained by the first line from the beach and proximity to the historic center of the city. Only children under 3 can stay free of charge with parents in the rooms of this hotel. For older children, you need to pay about $20 per day. In addition, this hotel requires a deposit, which will be returned later upon check-out. Consider this need when calculating the budget of your trip. Check-in time at the hotel is from 3 pm. Check out – up to 12 pm.